2018 Elimination Finals here we come. Our senior team is placed in the top 4 for the 2018 Finals. Who would have thought? All of us, of course, and more importantly, the team believed in themselves. This shows what belief and determination can do – belief in our players, belief in ourselves and belief in our club. Let’s give them every bit of support by being there on the day – date yet to be confirmed but start planning now. It really is amazing how a sign of club support helps lift the players on the day and that club support is not only from our members but our sponsors and supporters.  EXPRESSION OF INTEREST 2019 FEMALE TEAMS U12 & U14 Pascoe Vale FC has opened expression of interest for it's female teams 2019 for new players only. 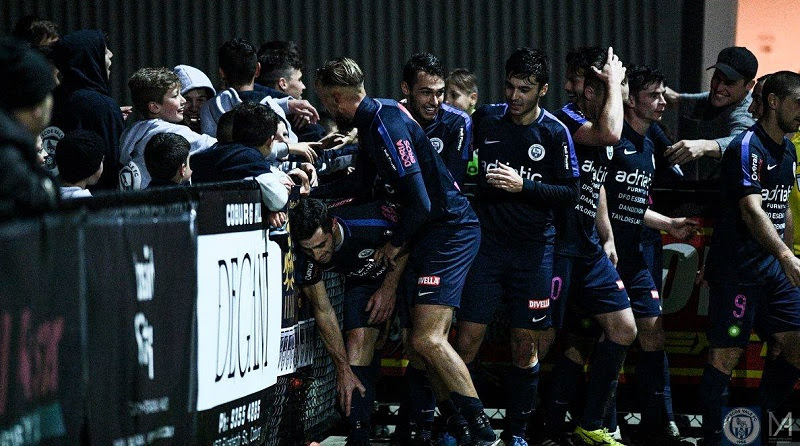 NPL YOUTH EXPRESSION OF INTEREST 2019  Pascoe Vale FC are now accepting expressions of interest for the upcoming 2019 season for teams NPL U12-U20.